ASUS introduces the VG275Q Gaming Monitor, a 27-inch full high-definition display with a blazing response time of 1ms and refresh rate of 75Hz thanks to its GameFast input technology. The ASUS VG275Q gaming monitor supports AMD FreeSync technology for AMD Radeon graphics cards users, experience smoother frame rates by eliminating screen tearing and an overall better gaming experience. The gaming monitor also has dual HDMI ports that allows users to connect both your PC and your gaming console. The ASUS VG275Q is being marketed as a ‘console gaming monitor’ with it supporting both PC and console gaming platforms. Experience better response times and hit targets faster with the VG275Q gaming monitor compared to gaming on a HDTV. The VG275Q features dedicated gaming enhancement features such as the GameVisual Technology which has six pre-set display modes that optimize visuals based on your gaming. Pre-sets include RPG, FPS, RTS, Cinema, Racing and Scenery. The display modes can be easily accessed through the On Screen Display (OSD) menu or through hotkeys. - 27-inch full high definition gaming monitor with GameFast Input Technology enabling blazing fast response time of 1ms ensuring smooth gameplay and visuals. - Dual HDMI ports with one DisplayPort so you can connect both gaming PC and gaming console. - Packed with Flicker-free and Low Blue Light technologies with TUV Rheinland Certification ensuring a comfortable viewing experience. - AMD FreeSync Technology that eliminates screen tearing for smoother frame rates with supported Radeon graphics cards. 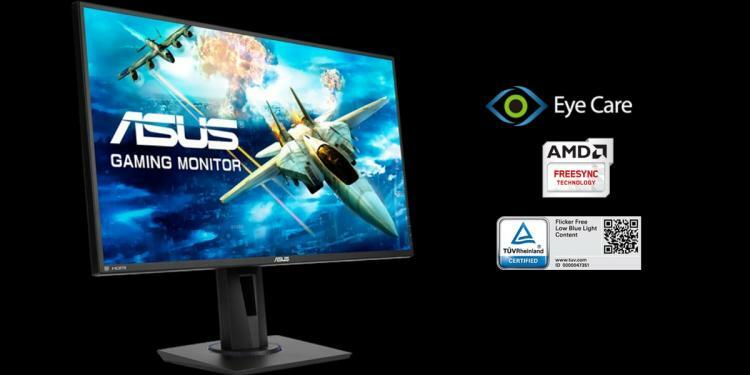 The ASUS VG275Q Gaming Monitor is said to be around $300 USD. Visit the ASUS website for more details.